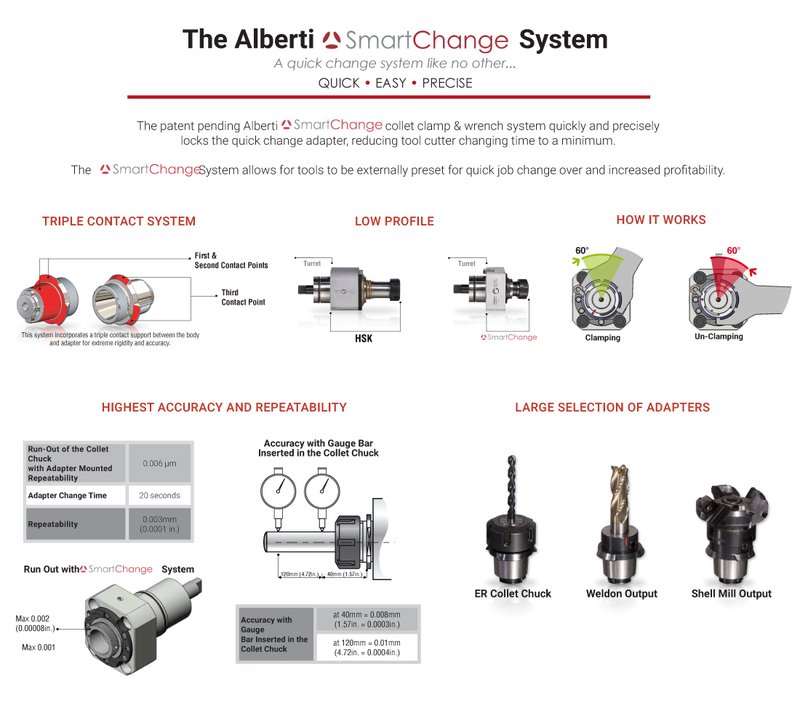 The Alberti Smart Change System is quick, easy and precise. 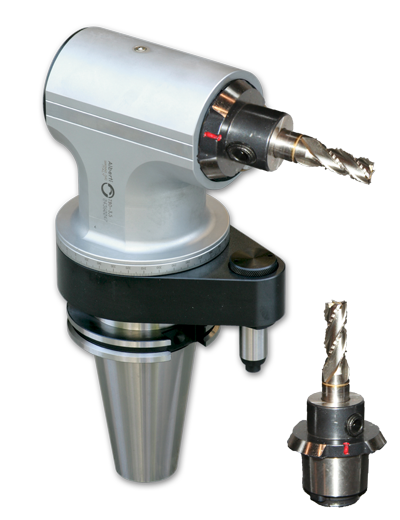 The patent pending Alberti Hi Smart collet and wrench system quickly and precisely locks the quick change adapter, reducing tool cutter changing to a minimum. This system allows for tools to be externally preset for a quick job change over and increased profitability. Determine which angle head is right for you.